will we lose part of the idea of being free? CG- She's an old one. - Fifteen if she's a day. She wouldn't last through the winter. We'll tie down the other three on the way back. Eli Wallach- What do you think this mare'll weigh? CG- About pounds, I guess. - Must be about on that brown, huh? EW- Just about, yeah. Must be about on the stallion. - A little lighter. About pounds. CG- How does that all come out? Well, six cents a pound, be about $ $ . EW- How do you wanna cut it up? CG- Any way you like. EW- I'll take for myself and the plane. CG- OK. I ought to have about for the truck and me. That leaves for you, Perce. That all right? Perce! No. You fellas take it. I just came along for the ride anyway. Marilyn Monroe- Horse killers! Killers! Murderers! You're liars! All of you, liars! You're only happy when you can see something die! Why don't you kill yourselves and be happy?! You and your God's country! Freedom! I pity you! You're three dear, sweet, dead men! EW-She's crazy. They're all crazy. You try not to believe it because you need them. CG-You struggle, you build, you try, you turn yourself inside out for 'em. But it's never enough. So they put the spurs to you. I know. I got the marks. I know this racket. - I just forgot what I knew for a little while. MM- Butchers! Murderers! I pity you! You're three dead men! EW-Hold this light for me, will you? Buck up, boy. Before you know it you'll be up to your neck in dames again. I just been thinkin'. I don't know how we got so stupid. CG-The world is full of mountains. Montana, Colorado, Canada, even Mexico. Where there's mountains, there's horses. Probably we could clean 'em all out till we're too weak to walk. EW-We'd work a while and... I could even sell my house. I don't know what I've been keepin' it for anyway. "We don't need anybody in the world. You know that now, don't you? What are you doin'? What in the hell you catch him for? Don't want nobody makin' up my mind for me, that's all. Damn 'em all! They changed it. Changed it all around. Smeared it all over with blood. Well, I'm finished with it. It's... It's like ropin' a dream now. Just gotta find another way to be alive, that's all. If there is one any more. Perce, cut that mare loose for me, will you? " Marilyn Monroe : Which way is home? Clark Gable: God bless you girl. Marilyn Monroe: How do you find your way back in the dark? Clark Gable: Just head for that big star straight on. The highway's under it. It'll take us right home. Wanna help keep Mustangs and Wild Horses Free? Are you aware that our Govt (Bureau of Land Management) rounds up these beautiful animals and puts them in holding pens for up to 2 years? 1) Please Contact The Senators on the Energy & Natural Resources Committee and ask that they support a moratorium on all gathers and removals. Bernard Sanders (I) (VT) Evan Bayh (IN) Debbie Stabenow (MI) Mark Udall (CO) Jeanne Shaheen (NH) Lisa Murkowski (AK) Richard Burr (NC) John Barrasso (WY) Sam Brownback (KS) James E. Risch (ID) John McCain (AZ) Robert Bennett (UT) Jim Bunning (KY) Jeff Sessions (AL) Bob Corker (TN). Ask for an executive order for a moratorium on all BLM round ups. 3) Please contact your Congressmen and ask for a Congressional investigation into the Bureau of Land Management. 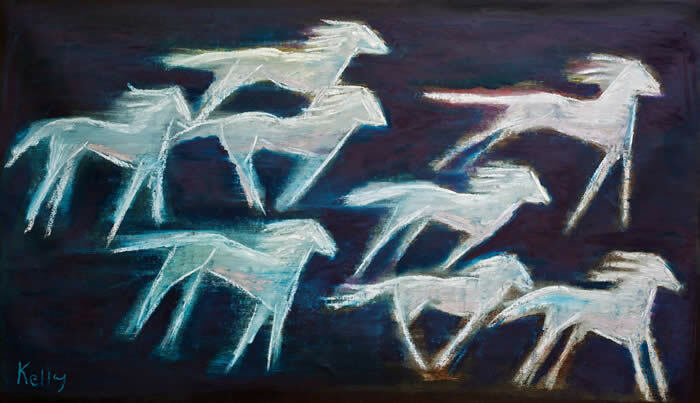 Visit www.theamericanwildhorse.com and make a donation to this very important educational film through the Spirit Riders Foundation a 501c3 non-profit. 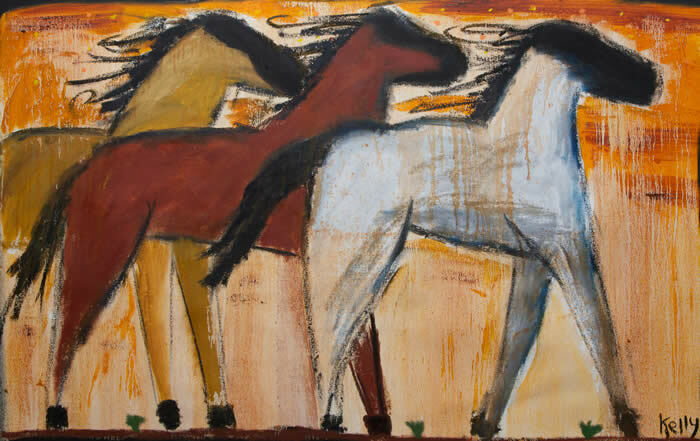 -In the 19th century, more than 2 million wild horses roamed the West (source: J. Frank Dobie, “The Mustangs”, Southern Methodist University Press, Dallas, 1952). -Today, fewer than 33,000 wild horses likely remain on public lands. -Over 2 million head of private livestock enjoy subsidized grazing on public lands. -More than 250,000 wild horses and burros have been removed from public lands since 1971. The BLM plans to remove another 12,000 for Fiscal Year 2010. -The 1971 Wild Free-Roaming Horse and Burro Act mandated that wild horses and burros be protected and managed on "areas where presently found," which included 47 million acres of public lands on 303 herd areas. 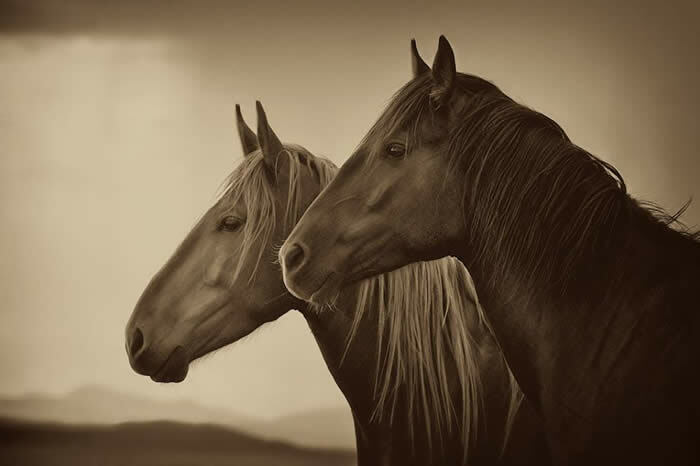 -Since 1971, wild horses have been zeroed out from 111 herd areas representing over 20 million acres; 2.4 million acres of wild horse habitat were lost between 2005 and 2009 alone. -Burros share their habitat with bighorn sheep, a highly-prized game species that now outnumbers them at least 16 to 1 on public lands. BLM’s target for nationwide burro population is less than 3,000. BLM relies on an annual population increase rate of about 20% to evaluate population levels and justify round-ups of wild horses and burros, while the National Academy of Sciences estimates that rate to be closer to 10%. 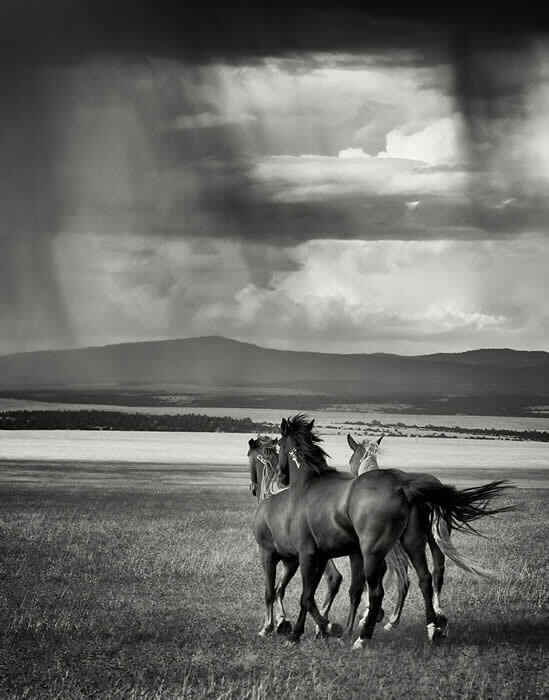 -Wild horses account for less than 0.5% of large grazing animals on public lands. -6 states have lost their entire wild horse and burro populations. -In 70% of the remaining herd areas, BLM’s population targets are set at levels that will not ensure genetic viability. -The current removal policy is costing over 60 million tax dollars a year. -In 2008, less than 5% of BLM’s wild horse and burro program budget was allocated to herd management on the range, with the remaining 95% allocated to captures, holding, and placement. -According to the USGS, $7.7 million could be saved annually through the use of contraceptive measures alone. -The removal and processing of a single horse through the adoption pipeline can cost as much as $3,000. -Over 36,000 wild horses are currently held in government holding pens. -Livestock grazing is authorized on five times more acres of BLM land than wild horses (160 million acres for livestock vs. 26.6 million acres [shared with livestock] for horses and burros). -Publicly-subsidized livestock grazing on public lands costs taxpayers in excess of $132 million annually, yet cattle grazed on public lands provide just 3% of the nation's beef supply. -Private livestock outnumber wild horses and burros on public land by at least 50 to 1 (note: some livestock may not be grazed year round). by Andrew Cohen has served as chief legal analyst and legal editor for CBS News and won a Murrow Award as one of the nation's leading legal analysts and commentators. Listen for the sound of hooves pounding. 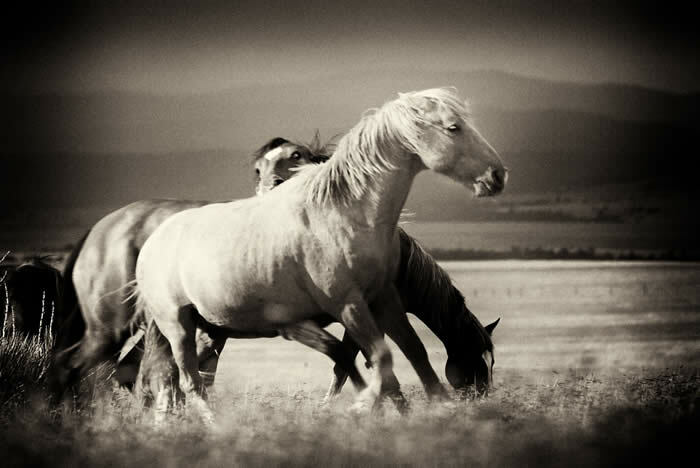 Look for manes flying in the wind. Feel the rush of awe at the sight of these creatures. The Pilot Butte Wild Horse Scenic Loop Tour is something you and your family will never forget because Sweetwater County's cherished wild horses are living examples of a wide-open landscape and untamed frontier spirit. The Wyoming Tourism Board wants you and your family to come see the wild horses in Sweetwater County, but you better go quick. Beginning next month, federal officials and local contractors will roundup and remove approximately 700 of those horses (about 70 percent of the herd) to satisfy the complaints of the cattle and sheep ranchers in the area who don't want to share land with federally-protected horses. The "cherished," "living examples" of Wyoming's western heritage will be penned in and then given up for adoption or sold at auction. Many will soon die. Some may even be slaughtered for meat. All will likely be gone from view in Sweetwater County. 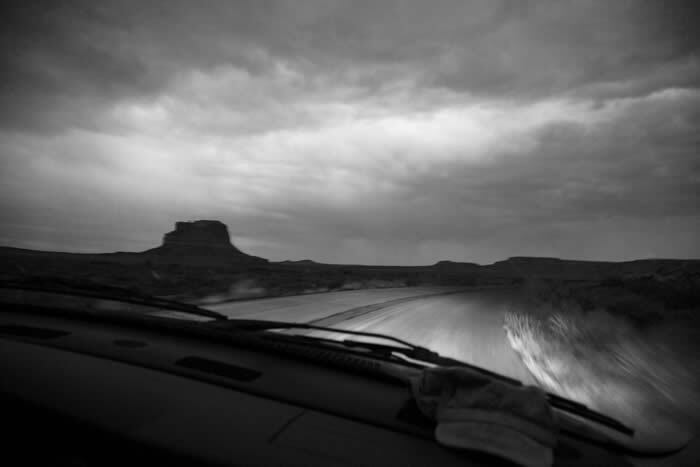 You and your family, having traveled to southwestern Wyoming, may be plum out of luck. 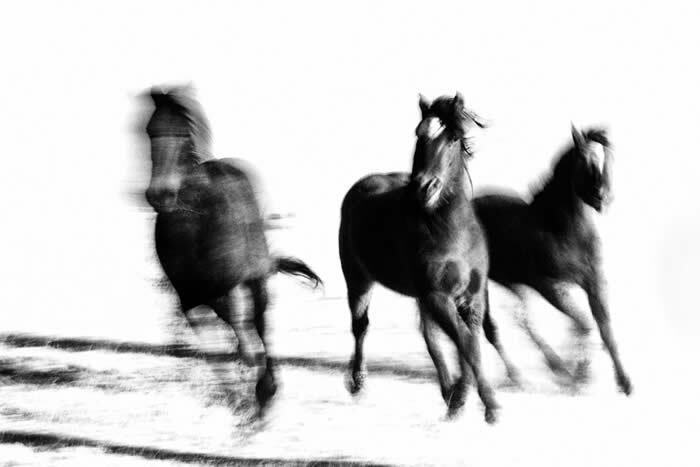 This is my third take on these Wyoming horses in just the past few weeks, and I again beg your indulgence. First, I wrote about a failed federal plan to round up the horses, geld the stallions, and return some back to the herds to decrease natural procreation cycles. When the government was sued in federal court in Washington to stop the removal and castration, the feds backed off and came forward with a new pitch. The horses would leave, but none of the stallions would be castrated. This plan appears to be going forward. I wrote about that, too. 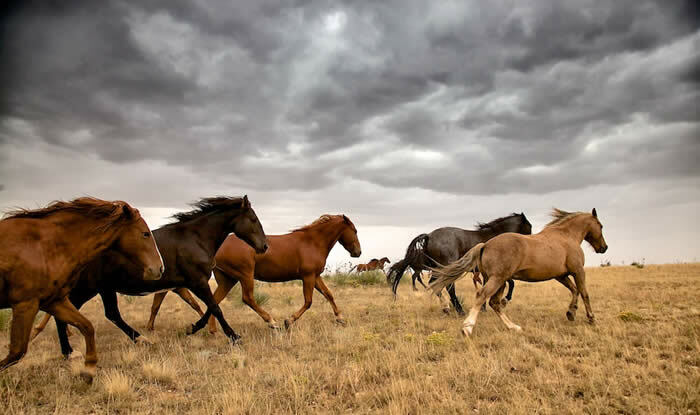 The number of horses in two vast "herd management areas," located in a desolate part of the state, would again dip below 300, making it much less likely that a tourist family would see a wild horse in Sweetwater County. The reason for my persistence isn't difficult to explain. Each time I write something about these horses, I learn something more about the politics of their plight that is worth sharing to a broader audience. This time, the story is not just about the hypocrisy evident in Wyoming's attitude toward these horses -- the state is both marketing them as tourist attractions and actively conspiring to get rid of them. It's also about the curious conduct of the U.S. Department of the Interior, which, again, has done the bidding of an industry that it is supposed to regulate. With friends like the BLM and Wyoming state officials, the horses and their human supporters don't need any enemies. The cattle and sheep industries want the horses gone from the rangeland -- even though the ranchers reap the benefits of having their herds graze upon public land at low cost. To support their position, the ranchers cite a 1981 consent decree, overseen by a local federal judge, which limits the number of wild horses that are to be left in the Little Colorado and White Mountain herd areas to approximately 300. To the ranchers, the horses are a nuisance, not an asset, a point Wyoming doesn't happen to mention in its breathless tourism campaigns, which feature television ads of thundering herds.